Hi guys! I told you a while ago that I got a couple of new MoYou plates for the holidays, but I realised today that I've hardly shown you any manicures with them. Shame on me! So to fix that, I've got a very bold manicure for you today! When I got this plate (MoYou ProXL 14), this curly pattern was the fist one to catch my eye. It's so pretty and unique! I just had to do something with it. and what better way to make an image really pop than using black and white? As a base for this manicure I used my favourite white, OPI Alpine snow. For the stamping I used Konad Black. I must admit I had a little bit of trouble with this image. Some of the fine lines retained a lot of polish after scraping, and made a very think line when I picked them up on my stamper. Nevertheless I still like how it turned out. I hope you guys like it too, and see you next week! It IS bold and I love it. I love b&w nails. I think they are so simple yet so intricate. Great job! 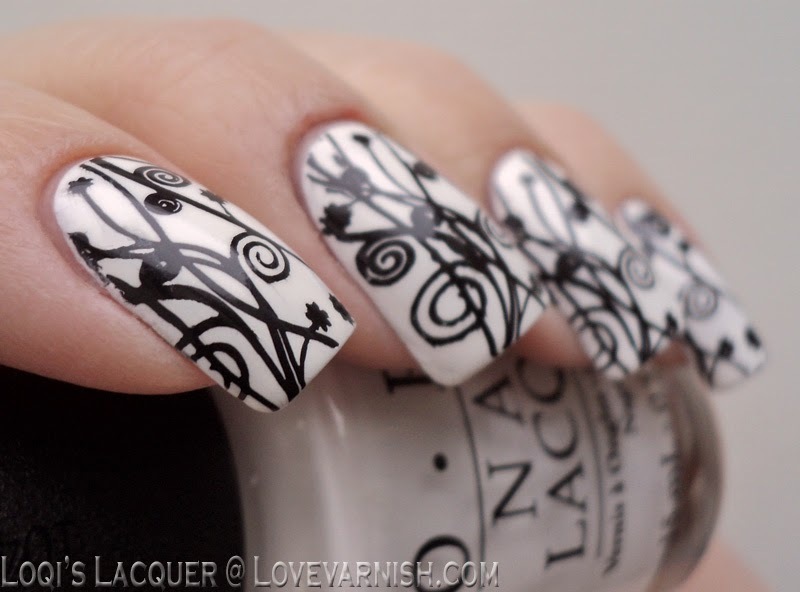 There is something so gorgeous about black & white nails - Amazing job! Love this pattern - so pretty! Wow, these are beautiful! The stamp is gorgeous! This is so striking! I can't wait to see what you do with more color combinations! 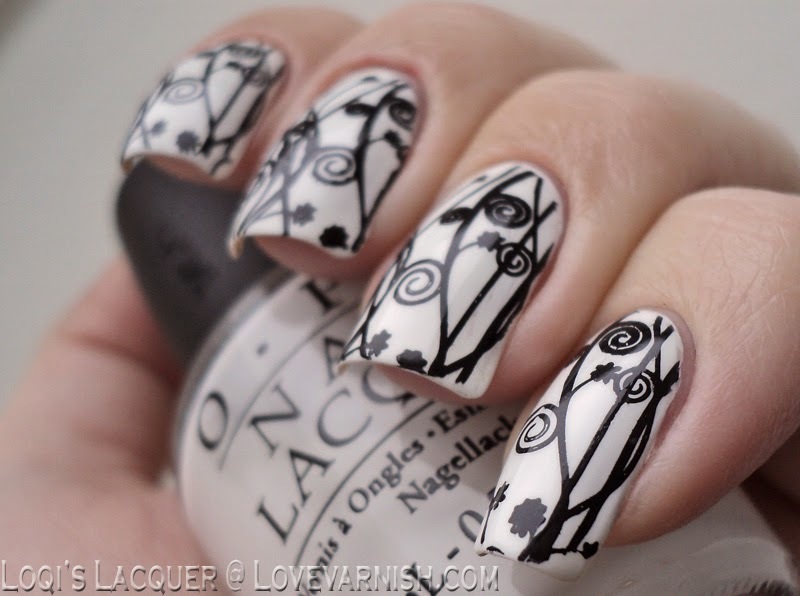 I love black and white manis, such a classic look! 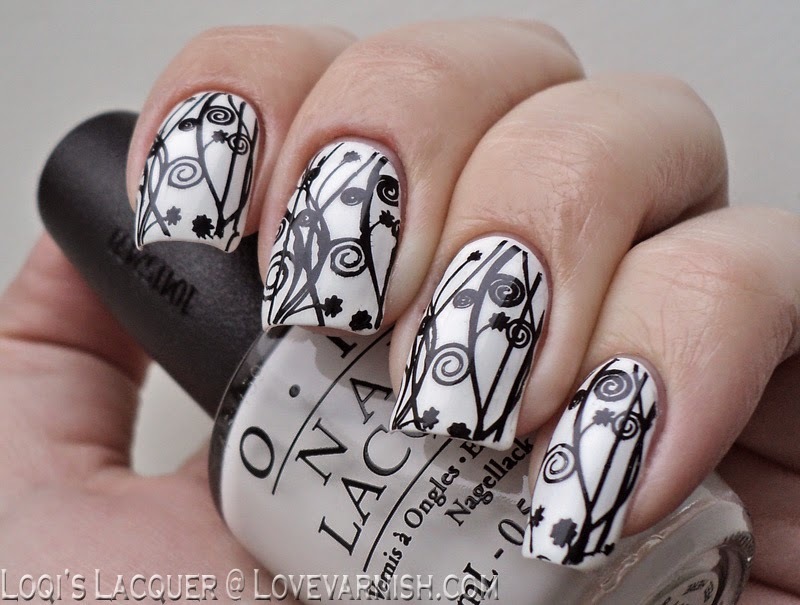 Black and white manis are my favorites ! :) Looks great ! There's just something classy about a great black and white manicure. You're stamping turned out phenomenal! This is beautiful! 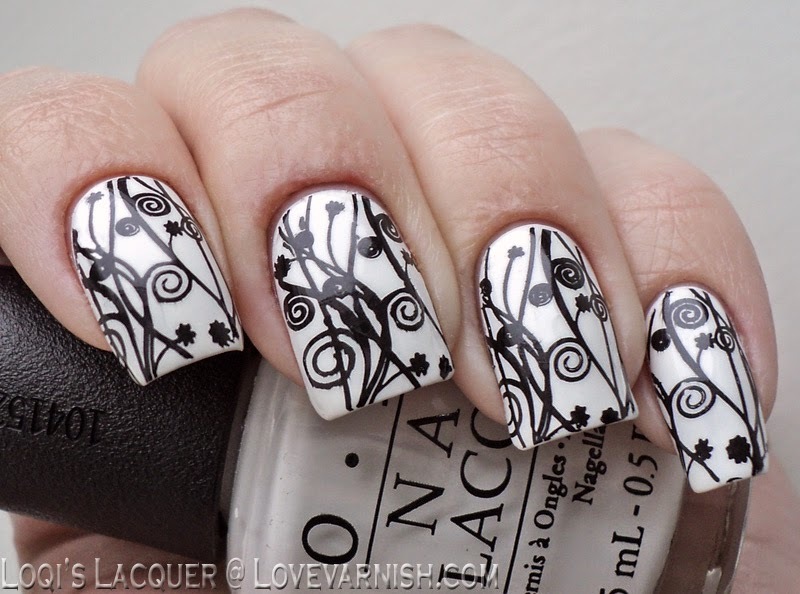 I love a great striking black and white mani!